[Mixcloud] The BPM Festival Podcast 28 – Ellen Allien – listen now! The BPM Festival welcomes back Ellen Allien’s BPitch Control showcase with Camea, DJ QU, and Jesse Perez at La Santanera on January 9. Warm up for the fiesta with The BPM Festival Podcast 28 – Ellen Allien Podcast on Mixcloud here, featuring Ellen Allien’s own brand of “happy freaky electric tech-allien-acid-house.” Tickets for the showcase are available while supplies last here. Ellen Allien is constantly exploring new aural worlds, most recently on her ‘Freak’ EP released in September (check out the track “Butterfly” here), with the “Butterfly” Remixes from Radioslave, LA Williams, Aux88 and a new track “Hope” due out in 2015. Ellen Allien is also giving fans the opportunity to remix “Butterfly,” with the winning tracks to be rocked on dancefloors worldwide during her sets, and the top three winners scoring a one-year LANDR Pro unlimited account and prizes from Native Instruments — see details here! Since 1999 she has managed the label BPitch Control in Berlin, as well as the t-shirt range ellen allien. As a DJ she rocks clubs and festivals all around the world. She is a resident at DC10 in Ibiza, Nitsa in Barcelona and Robert Johnson in Offenbach, as well as at major festivals such as Melt in Germany and Name in France, and tours worldwide with BPitch Control events. Her productions have even been performed at temples of modern art such as the Centre Pompidou in Paris. Most importantly she shares her enthusiasm with others: her creative base and label BPitch Control, her fellow musicians and of course her audience. For a long time now, Ellen Allien has been regarded as a fixed star in the electronic music galaxy. She is an extraordinary creature, a one-of-a-kind artist without whom Berlin’s vibrant electronic club landscape wouldn’t be the same. Fortunately someone thought of a suitably extraterrestrial name for her right at the start of her career: Allien. No name will ever suit her better. 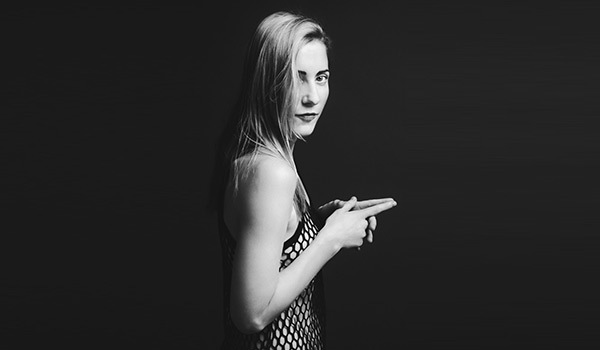 Ellen Allien will also be performing at The BPM Festival Circoloco showcase at Mamitas on January 16.